Batemans Bay has been a family favourite for us since I was a kid. I took my first holidays there when I was the same age as my oldest daughter. 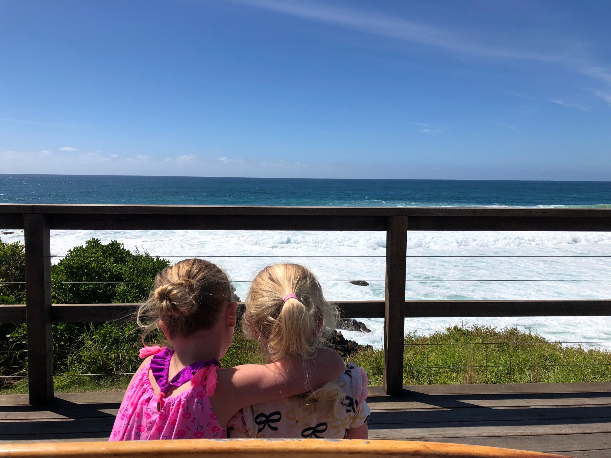 And now that I’m a Mum, there is no place that I love taking my kids more than the beautiful South Coast and Batemans Bay. Here’s why. There are so many beautiful beaches to visit down south. 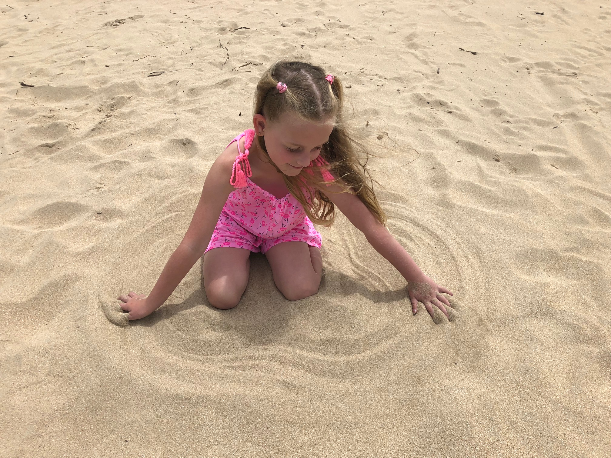 Our family had a holiday house on Long Beach which is the perfect place for tribes with young kids to holiday. It’s a lovely flat beach perfect for digging in the sand and paddling in the water. 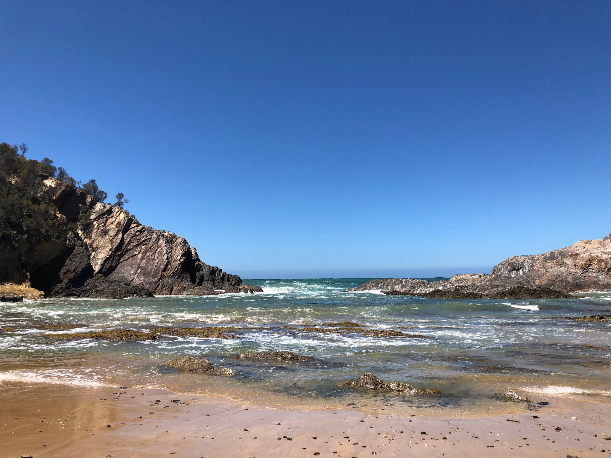 We also love a lesser known beach called Guerilla Bay. Guerilla Bay is only 10 minutes out of Batemans Bay and surrounded by bush land and rocky inlets. It’s a quiet little spot and a great place to explore at low tide. We always find some fantastic shells and rocks to collect there. Other favourites include Broulee for surfing, Casey’s Beach and Maloney’s Beach. Just 10km from Batemans Bay is a lovely country town called Mogo. There is plenty to do there with the tribe and we visit every time we’re in town. Lots of great little shops from antiques to lolly shops, homewares and books. There’s something for everyone. There is also the famous Mogo Zoo which is a must see if you haven’t been before. This lovely zoo is the home to Australia’s only white lions which are absolutely beautiful. You can feed deer, watch tiger talks and see monkeys and chimpanzees playing happily. 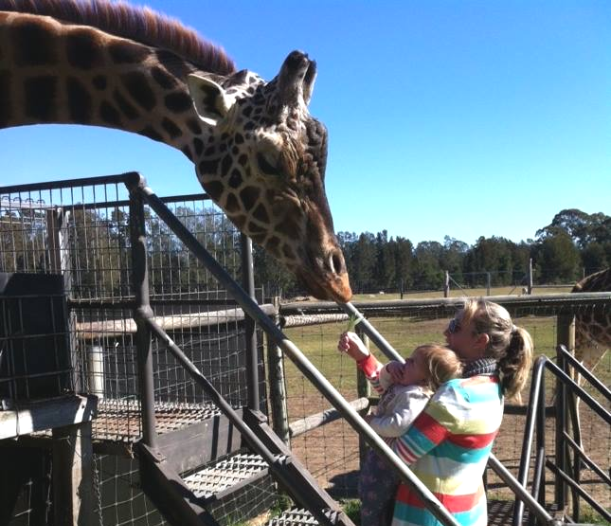 We got to feed giraffes on one of our visits which was an absolute highlight of our trip. There is so much on offer to keep kids entertained on holidays. 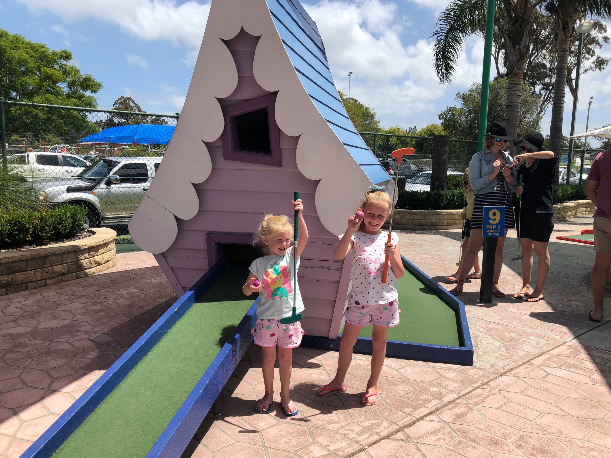 Batemans Bay Mini Golf is one of the tribe’s favourite places to visit. With 18 zany and fun holes, the whole family can get in on the fun here and enjoy time spent playing mini golf. There is also the Bay City Cinema which is always showing the latest flicks especially the kids films in the holidays when the weather gets a bit chilly. 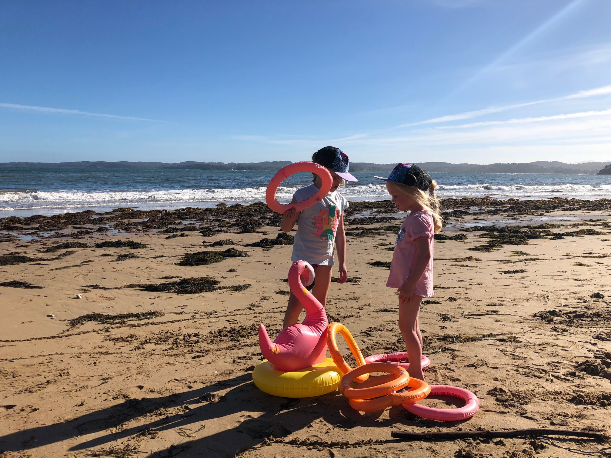 Also if you’re visiting in the summer school holidays, there is always a huge carnival called the Bell’s Family Carnival to look forward to on Corrigan’s Beach in Batehaven. Another favourite of ours is Birdland, which is a cute animal park with loads of birds, reptiles and Australian wildlife to check out. They have a miniature train ride inside to give you a tour of the park and its animals. You can also stick around to cuddle a wombat or hold a snake. There are so many great places to eat with kids. For our last trip to Batemans we decided to have pancakes and ice cream for lunch and it was glorious. Aussie Pancakes does everything from sweet pancakes to savoury crepes and other yummy meals too. We also love Stingray’s Ocean & Grill. It has a ship for a bar and an awesome play room with movies, iPads, toys and beanbags for the kids. Also highly recommend Starfish Deli which is right on the water and for a fancy meal On the Pier is a winner. You’ll also need to get an order of fish and chips from The Boatshed. There are some pretty great playgrounds around town. 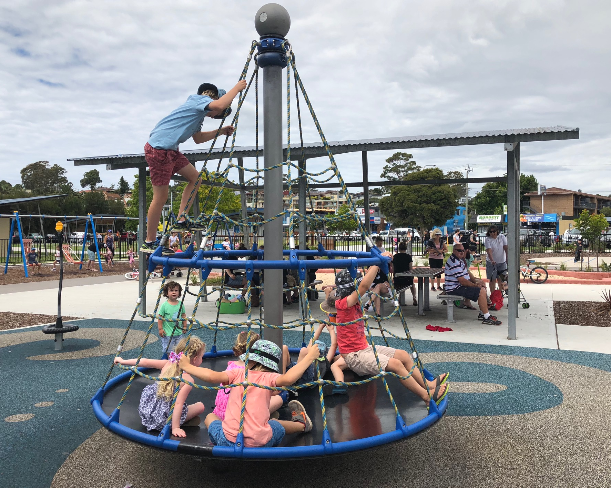 If you’re looking for outdoors fun head to Batehaven to enjoy the newly reconstructed Corrigan’s Reserve Inclusive Playground. This spectacular park has everything from doubles swings to a huge flying fox. There are bike/scooter paths, gym equipment tucked in the corner, a wheel chair accessible swing, flat swings, bucket swings, slides, climbing frames, a spinning net structure, a round-a-bout and more. It is fully enclosed and beach front so take your towel and swimmers. The other awesome park is a hidden gem tucked away in the Eurobodalla Regional Botanic Gardens. Set in a true nature reserve, there is a two storey fort, in-ground slides built into a soft fall wall, musical instruments, a soft fall mountain climbing wall, sand pits and more. 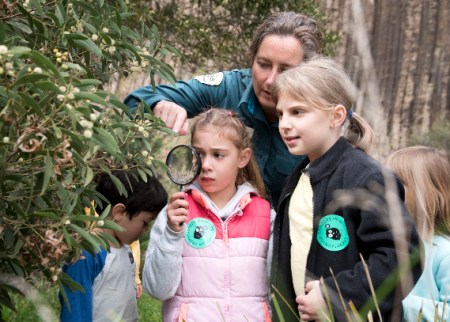 The April school holidays won’t disappoint with this awesome activity taking bookings right now! Take the tribe on a family friendly glass bottom boat tour with Region X Kayak Tours. The perspex bottoms on the kayaks allow the tribe to see all that the beautiful south coast marine life has to offer. Be amazed as stingrays, fish, jellyfish and maybe even an octopus pass by beneath your kayak as you tour the stunning Marine Park Sanctuary. 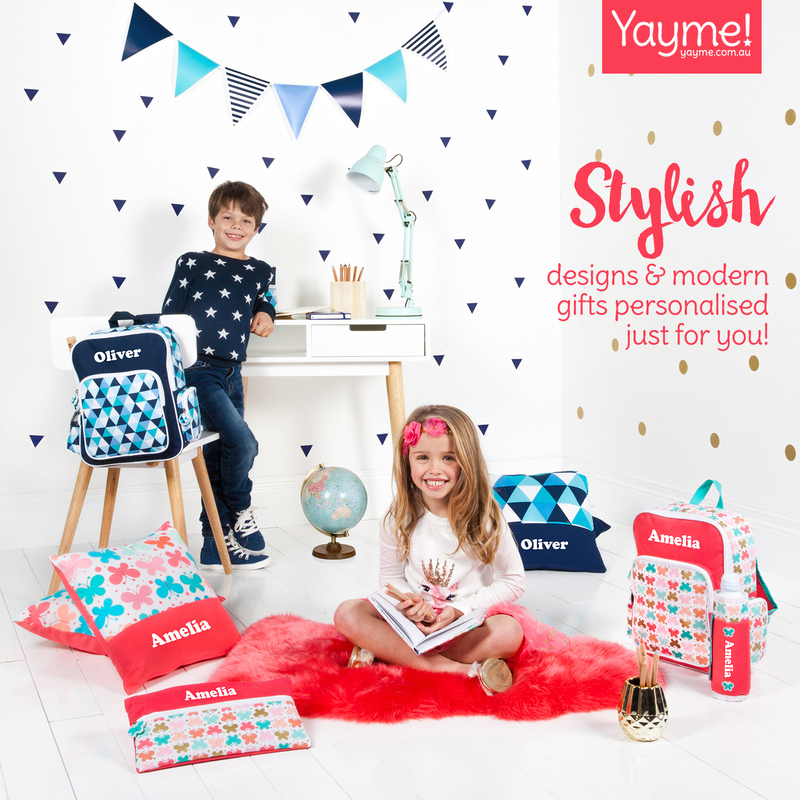 We found a special deal with Famly which has a fantastic discount! 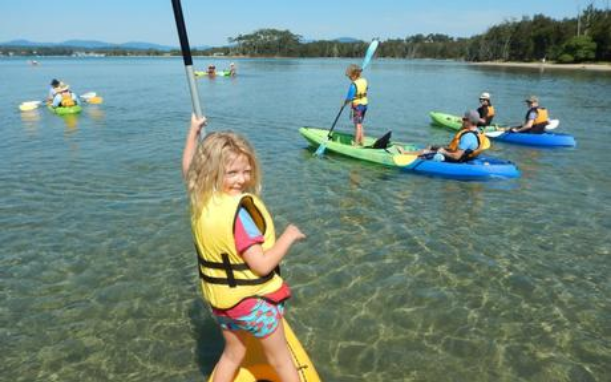 There is so much to do in Batemans Bay and the surrounding suburbs. We love driving to other towns to explore and enjoy scenic walks and markets. There are huge markets in Marouya on the first Saturday of the month, and we loved visiting Tuross Head recently. 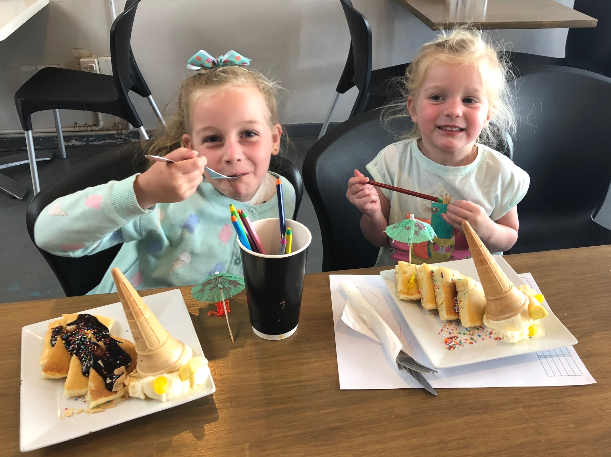 We also love heading to Milton to wander around the town and look in all of the shops and of course visit Cupitt’s Winery. Or if you’re in Mollymook, you must make a reservation at Rick Stein’s Bannisters by the Sea for a truly memorable meal.